We eat a lot of tofu in our house so i am always excited to try new ways to serve it. This recipe is adapted from the Love and Olive Oil blog. Drain tofu, set on paper towels and let drain for several hours or overnight. Slice into half-inch-thick slices. While tofu is draining, prepare dipping sauce by combining sugar, lime juice, fish sauce, garlic, and red pepper flakes in a small bowl. Add more fish sauce, to taste, if desired. NOTE: I actually used the leftover Miso sauce from the fish the other night in place of this sauce and it was super. And got rid of the extra sauce. i just drizzled it over the rice and tofu. In a shallow dish, beat the egg 1 teaspoon of water. 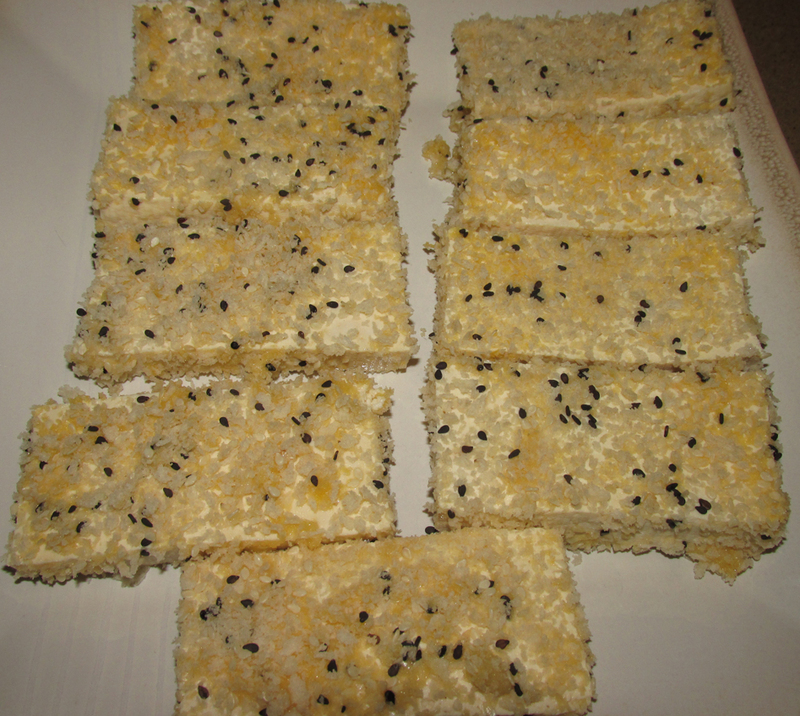 In another shallow dish, stir together the panko and sesame seeds. Working with one piece at a time, dip the tofu into the egg, then dredge it in the sesame-panko mixture until completely coated. Repeat with the remaining slices. Heat a large nonstick frying pan over medium-high heat. Add about 2 to 3 teaspoons of oil, enough to form a thin layer on the bottom of the pan. 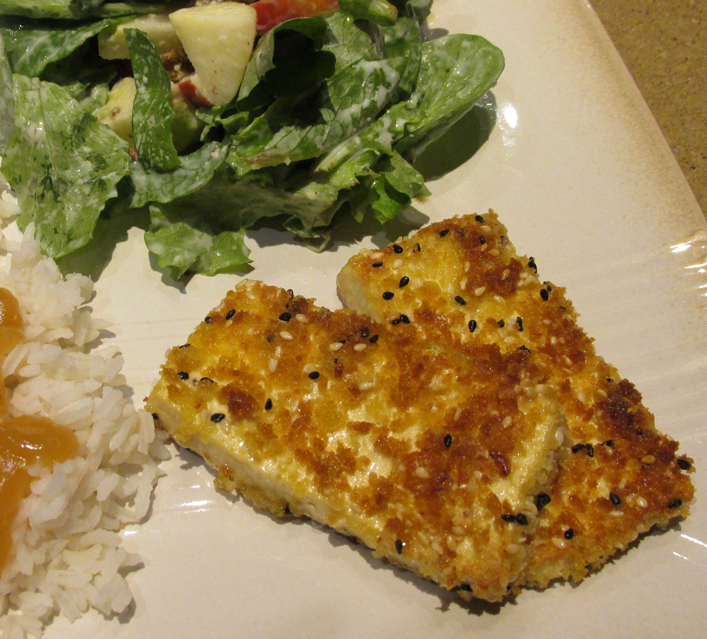 Arrange tofu slices in pan and cook for about 3 to 4 minutes per side or until golden brown. Transfer to serving dishes; garnish with scallions and serve with dipping sauce. Serve with a salad and steamed rice.